There are so many thoughts and posts in my heart right now. But I’ve committed to taking care of my own home before writing about housekeeping. You understand, right? Family before Internet! Take a minute to ponder that sentence and let the message sink in a bit. Even if we don’t have all day to clean, most of us can still give our homes a few minutes, can’t we? We know all too well the bitterness of a mess. Let’s leave that bitterness behind and instead seek the reward of an organized home! For more short nuggets of housekeeping encouragement, follow me on Instagram, like me on Facebook, or join the challenge. If you’d rather have a complete room-by-room organization guide, then make sure to check out my new book – it’s packed with inspiring information and helpful how-to’s. What’s one thing you’re going to do to take care of your home today? I just found your blog via FB. Today my husband helped me move my sewing room into an empty bedroom. Well , it was empty after we took 2 bags of trash out! Then he moved a table back in and I have a dining room again. We are separated and struggling, debating whether or not to divorce. A story for another day. 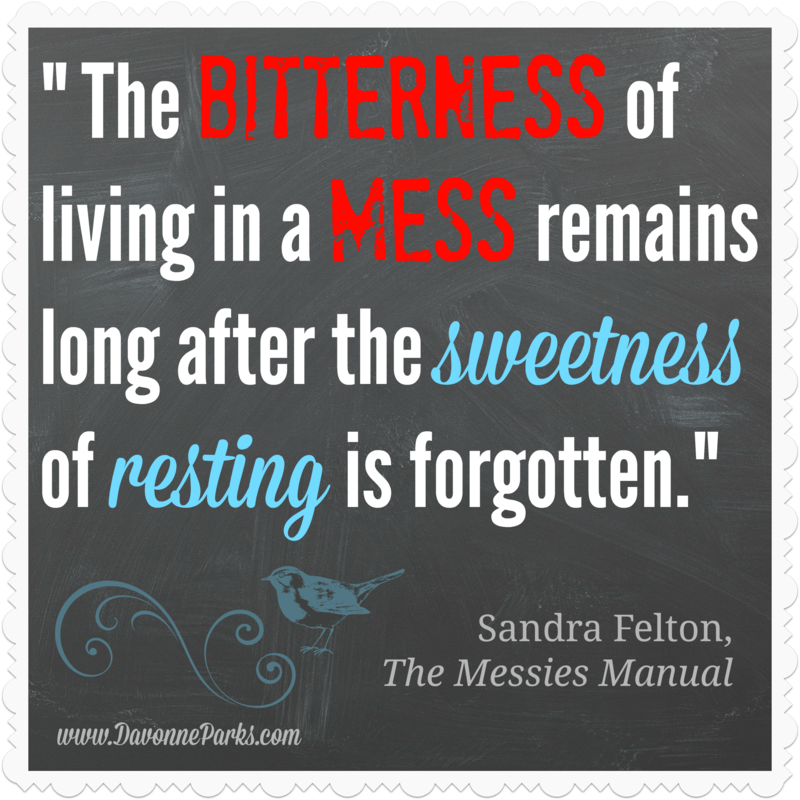 I blog about trying to recover from being a slob. So your organizing tips are very useful to me. Thank you.